Here at Copy Print Services we supply large format printers for a number of different applications. If you’re wondering what the best large format printer for you is, talk to us. We’re one of the best equipped to guide you and help you choose the best large format printer for you and your business. As you will have seen on the previous pages we’re all about customer service and making you, the customer, the top priority. We understand your large format world! We work with businesses all the time that have very different needs and wants from the Print equipment and the managed print service that goes with it. We’re all about relationships, some of our customers have been with us since we first started, and once we’ve worked with you to find the right large format print solution for your requirements we’ll help you get the best out of your new machine. We’ve helped some of our customers realise new markets to target and opened them up to a world of opportunity. We also provide you with information on the latest ideas and what is possible with your large format machine. We offer a wide range of purchase options for our wide format range. 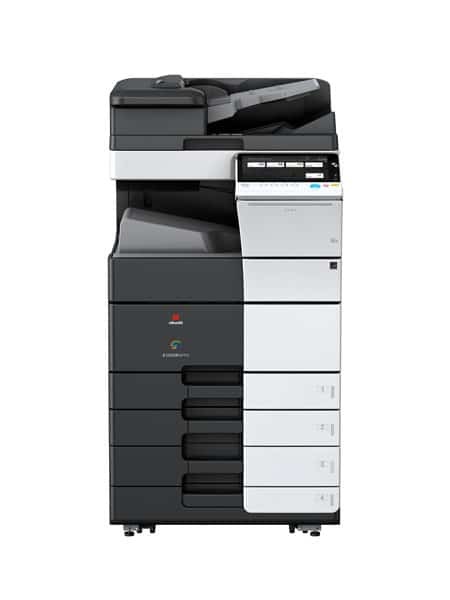 Including rental, lease purchase and a managed print service we can tailor our solution to suit your needs and be flexible to suit the needs of the business. Every now and then we come across used large format printers. We then supply these as reconditioned large format printers to our customer base. You’ll find out about any of our used and refurbished printers by joining our mailing list. Once we’ve found the right machine for you and you have it installed we will be here to provide all of your wide format printing supplies too. We have all commonly purchased items in stock ready to be dispatched from us the same day. All you need to do is give us a call or fire us over an email and we’ll get your consumables in the post for next day delivery if required. A large format printer is generally considered to be able to print roll width from 18” wide to 100” wide. They can be used to print banners, graphics, wallpaper, posters, vehicle graphics, architectural drawings, construction plans and other large format requirements. They use some form of Inkjet technology to create the printed image. In smaller runs this is more economical than using other large printing formats such as screen printing.